The open road is a beautiful (and definingly American) thing, but there’s an awful lot to be said for getting the hell away from blacktop and gravel alike. And when it comes to ecological integrity and the “wilderness” experience, roads can be an utter blight. Huge roadless territories come a dime a dozen, relatively speaking, up in Alaska (which doesn’t make its giant backcountries any less globally precious). But what about down here in the highway-and-byway-laced Lower 48? Most states in the U.S. include federally designated wilderness areas—roadless by definition—but major swaths of road-free outback are few and far between. In The Big Outside (1992), Dave Foreman and Howie Wolke rounded up as best they could all the “big wilderness,” designated and undesignated, in the contiguous U.S., taking roadless areas of 50,000 acres or more in the East and 100,000 acres or more in the West as their minimum cutoff. Acreages and classifications have obviously changed over more than two decades—and criteria for what constitutes “roadless” varies—but Foreman and Wolke’s basic ranking of the very biggest Lower 48 roadless complexes appears to remain generally valid. Needless to say, for wilderness-inclined backpackers, river runners, and other recreationists, the three roadless tracts below—perhaps the largest in the U.S. between Canada and Mexico—are downright mouthwatering landscapes. 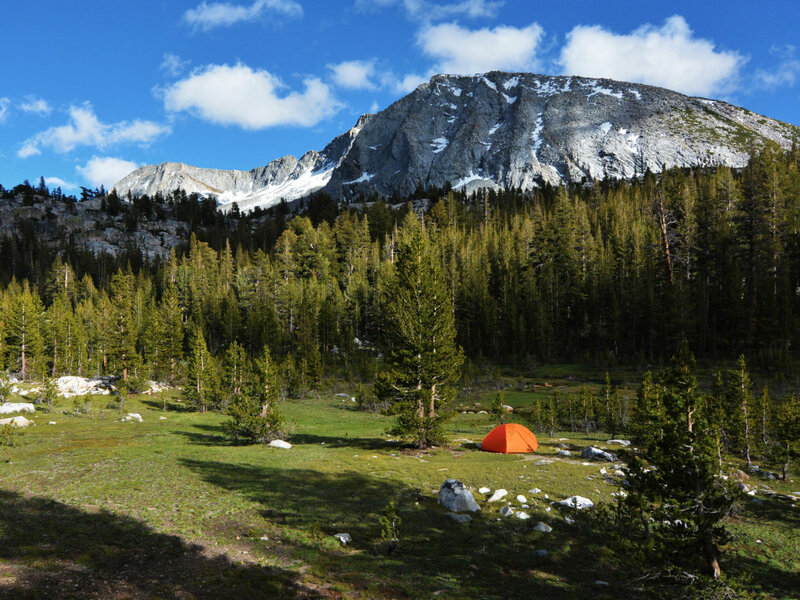 The Frank Church-River of No Return Wilderness of central Idaho is the granddaddy of roadless areas in the Lower 48. It’s the biggest federal wilderness area at 2.37 million acres, and single roads separate it from the 1.35-million-acre Selway-Bitterroot Wilderness to the north (plus the 205,395-acre Gospel Hump Wilderness to the northwest). Throw in unprotected National Forest roadless areas abutting these wildernesses, and you’ve got a wildland complex of genuine international significance—comparable to the ecologically distinct Greater Yellowstone Ecosystem to the east. The roughhewn and rumpled Salmon River Mountains help define the Frank Church. 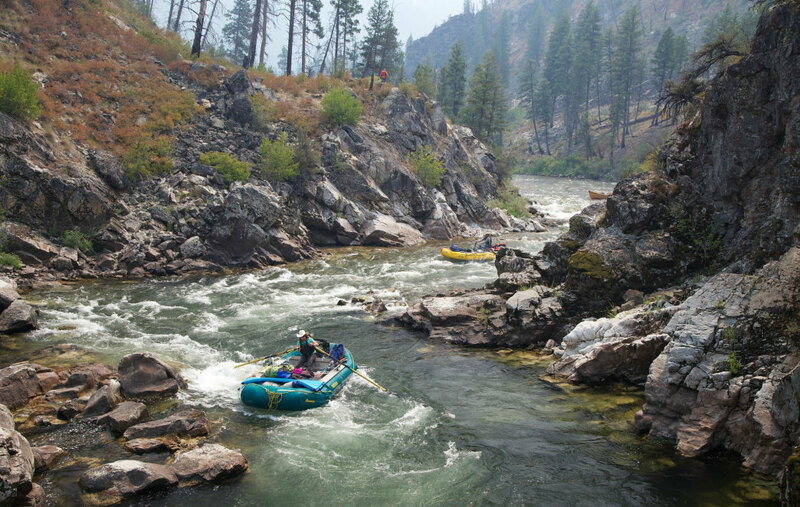 There are the staggering canyons of the mainstem Salmon River (the fabled River of No Return) and the Middle Fork, both whitewater meccas. The Main Salmon’s gorge—6,300 deep in places—exceeds the Grand Canyon in depth (and rivals the Snake River’s Hell's Canyon to the west). Canyon-wall ponderosa pine and foothill Douglas-fir parklands rise to dark-timbered ridges and craggy horns. The Bighorn Crags exceed 10,000 feet. The Selway-Bitterroot, meanwhile, spans from lush low-elevation forests to the alpine spine of the Bitterroot Mountains. Wolves and pumas stalk elk, mule deer, and bighorn sheep (with wolverines happily scavenging the carcasses) in this backcountry. Dispersing grizzly bears periodically wander the Selway-Bitterroot, a top priority for grizzly recovery given the scale and quality of its available habitat. The seam between the Frank Church and the Selway-Bitterroot is the CCC-built Magruder Corridor Road, also known as the Nez Perce Trail for its tracing of an indigenous trans-mountain track. 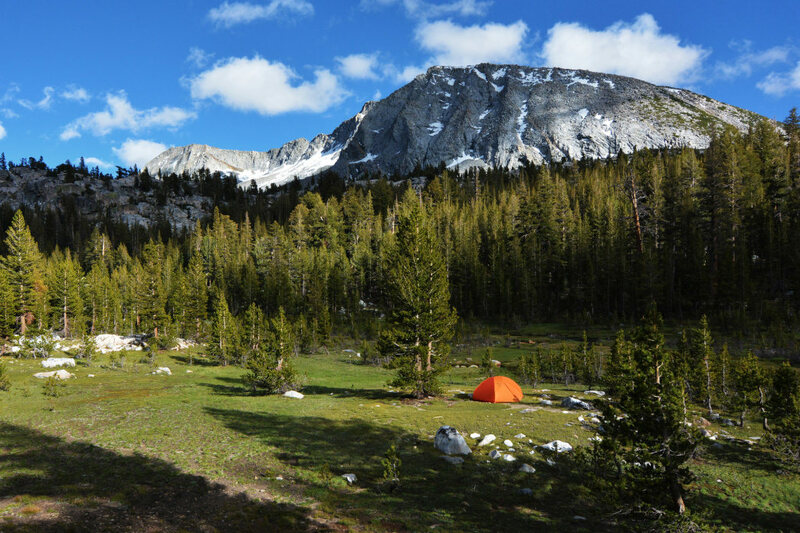 It comes as a surprise to many that one of the very biggest roadless areas in the contiguous U.S. lies in California’s Sierra Nevada—unquestionably gorgeous, but also absolutely thronged in many places. But no road pierces the central and southern High Sierra for the better part of 200 miles between Tioga Pass Road in Yosemite National Park in the north and Sherman Pass Road in the south; the latter is all that excludes the Domeland Wilderness from adding nearly 200,000 more roadless acres to the mighty spine-hugging wilderness complex. 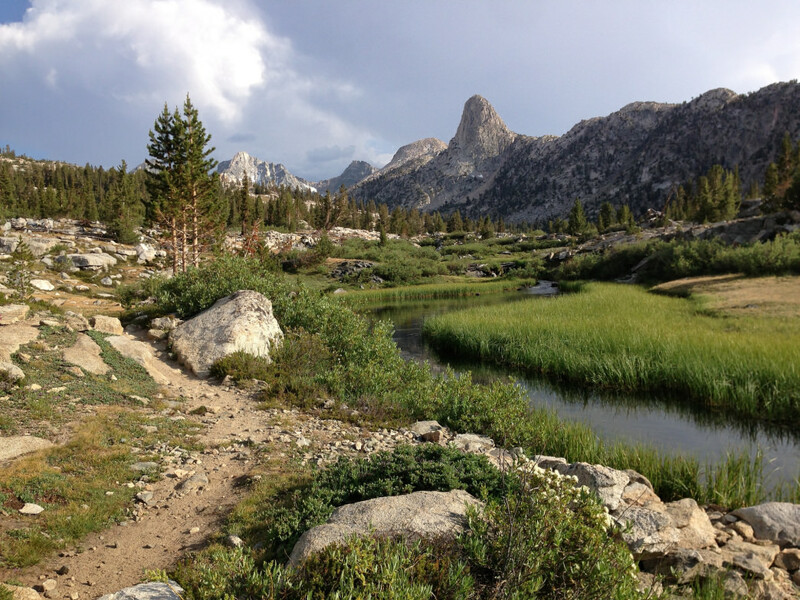 Between 2.5 and 3 million acres in extent, the High Sierra roadless block comes bookended by Yosemite National Park in the north and the South Sierra Wilderness of the Sierra and Inyo national forests in the south; between are the Ansel Adams, John Muir, Dinkey Lakes, Monarch, Jennie Lakes, and Golden Trout wildernesses and Kings Canyon-Sequoia national parks. Considered with adjacent backcountry in Ontario—namely the significant roadless portions of Quetico Provincial Park—the Boundary Waters of northeastern Minnesota is, by some measures, the third-largest roadless complex in the Lower 48: This international sanctuary of rocky, lake-infested Canadian Shield boreal forest accounts for the better part of three million acres. (Sure, we’re counting Canadian real estate here, but that makes sense given what matters is the extent of contiguous wilderness.) The only roadless area in the East to compare is that of the Greater Everglades. 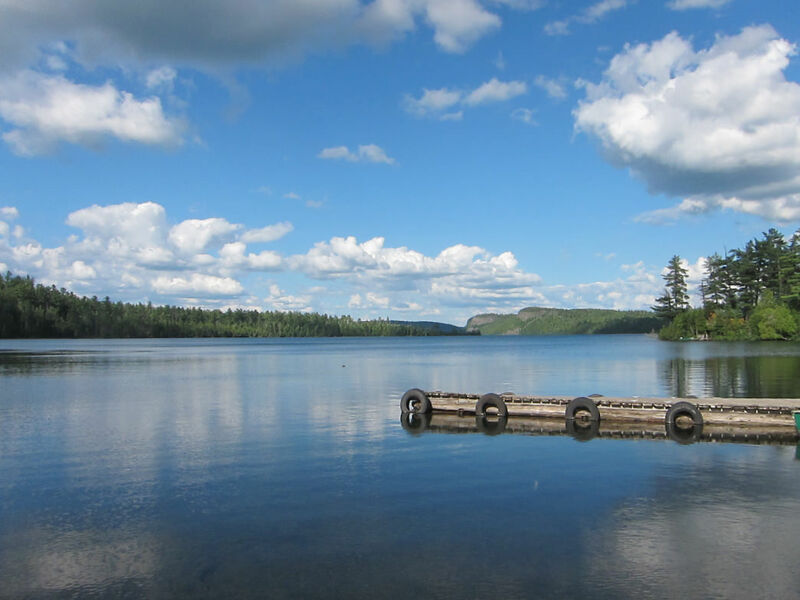 The Quetico and the Boundary Waters Canoe Area—which together are the continent’s most celebrated canoeing country—anchor the complex, bolstered by Voyageurs National Park and additional roadless parcels of the Superior National Forest, state and private lands, and other Ontario wilderness. One measure of the Boundary Waters’ wildness is the fact that the boreal backwoods and peatlands of northeastern Minnesota marks the only place in the Lower 48 that’s always supported a self-sustaining population of gray (or possibly “eastern”) wolves in historical times. Along with the Adirondacks and the Great Smoky Mountains, the Boundary Waters is also one of the greatest reservoirs of old-growth forest in the eastern U.S. (including some regal groves of white pine, one of the East’s most massive trees). So, What's the Most Remote? Those above wilderness complexes claim big areas of contiguous roadless country, but that doesn’t necessarily mean any given spot within them is all that far from a roadway. Dead-end “cherrystem” roads (often routed along drainages or ridgelines) pierce the edges of most wildernesses in the U.S., as any gander of a wilderness boundary demonstrates. The corner of the contiguous U.S. farthest from a maintained road, therefore, isn’t in the heart of the Frank Church-River of No Return Wilderness or the Kings Canyon-Sequoia backcountry, but deep inside the Greater Yellowstone Ecosystem. Specifically: the Thorofare region of southeastern Yellowstone National Park and the adjoining Teton Wilderness, where the upper Yellowstone River meanders through a soggy, meadow-strung valley between the Two Ocean Plateau and the Absaroka Range. We’re talking roughly 20 miles from the closest road—not actually all that far, all things considered—but certainly wild nonetheless, particularly given the healthy grizzly population here. 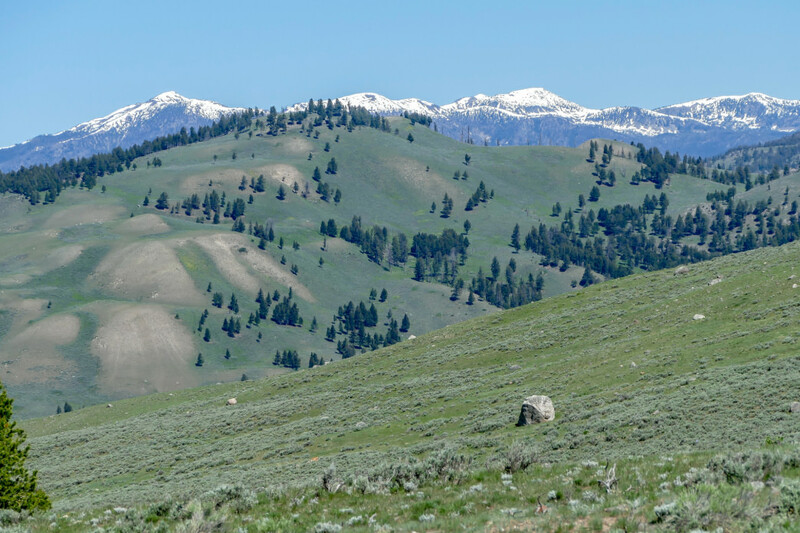 Not to mention it’s a component of another of the Lower 48’s biggest roadless areas, a two-plus-million-acre swath of eastern Yellowstone and adjoining national forestland.